I always LOVE this pink swirl mohair. 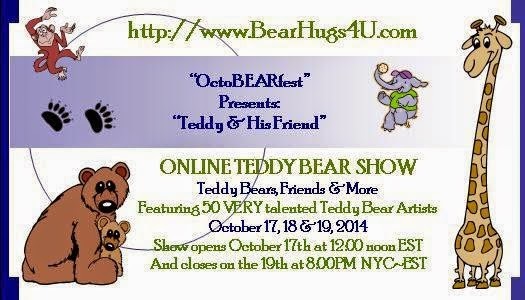 I have created so many bears with it. Here is a little cutie -- Pinky Pansy. 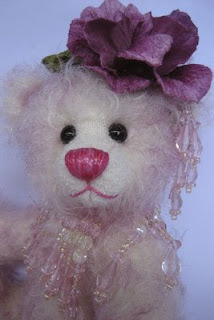 She is a lovely lady bear with lace necklace and BIG velvet pansy on her left side of head.